Yep that’s the one @Parker1090. 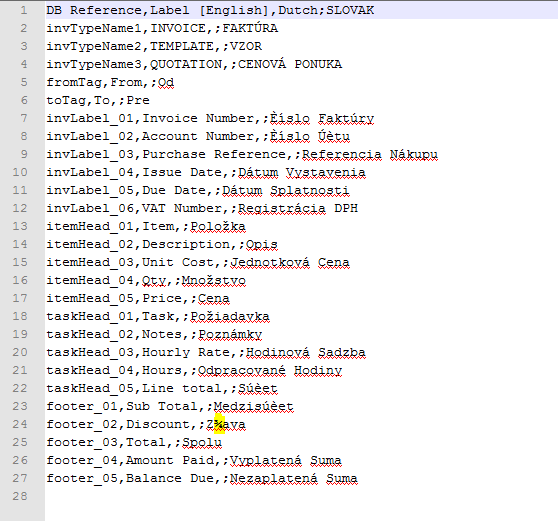 @Jack_Lacko if you complete that CSV with a column for Slovak Language we can get that implemented. Okay, I updated your csv file, added Slovak Language. Thanks. I’ve tried to open as Unicode but no joy, any ideas? Should the words be prefixed with semicolons? This looks closer but not sure about that 3/4 symbol? Thanks, the diacritic characters shouldn’t be a problem for us. We already have a Polish translation. Hi, could yo please send me a file with Slovak translation? I would like to upgrade and improve it.